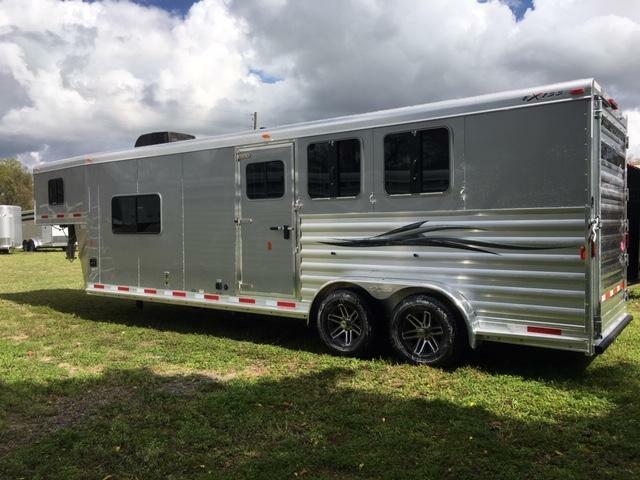 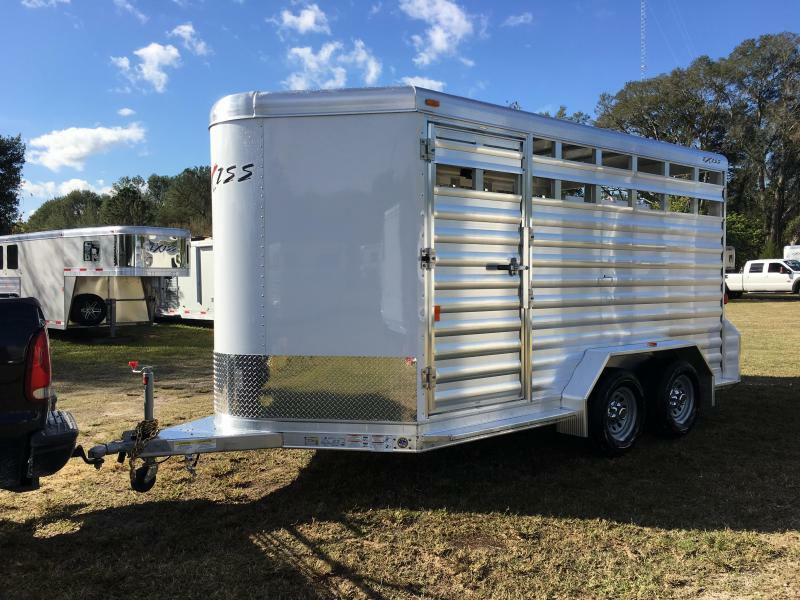 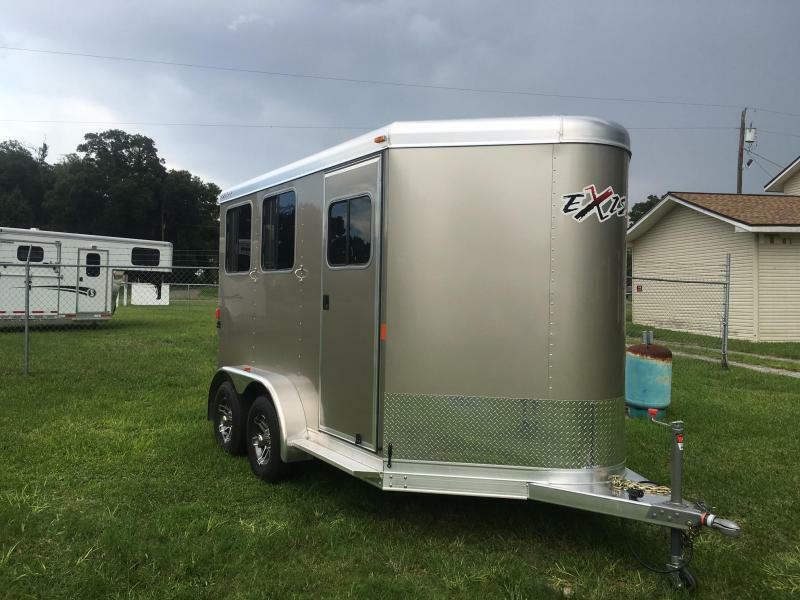 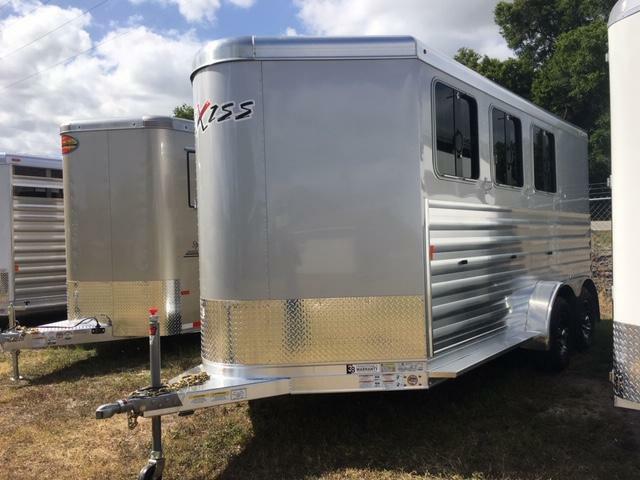 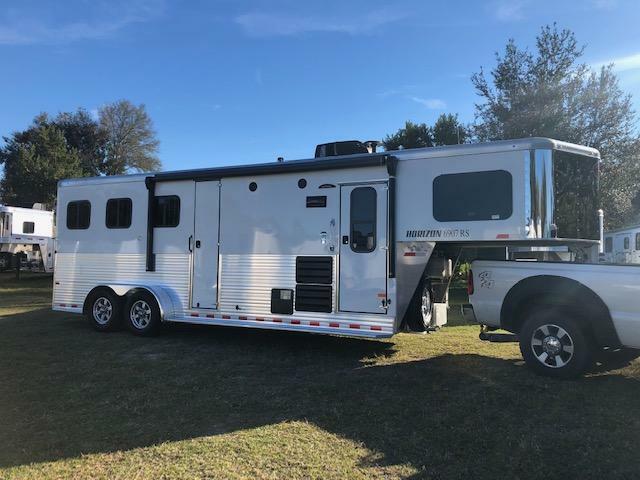 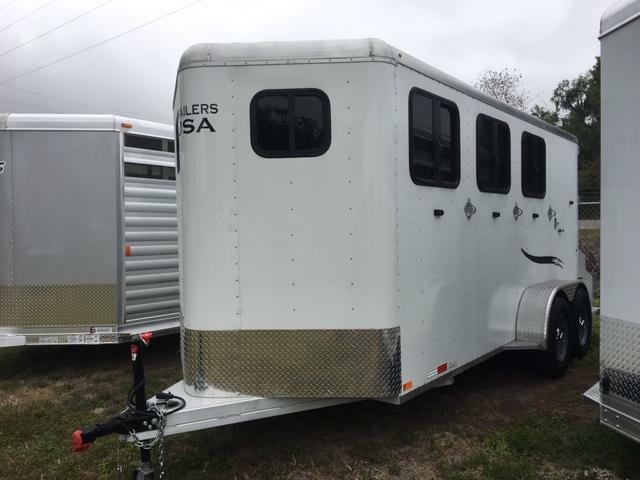 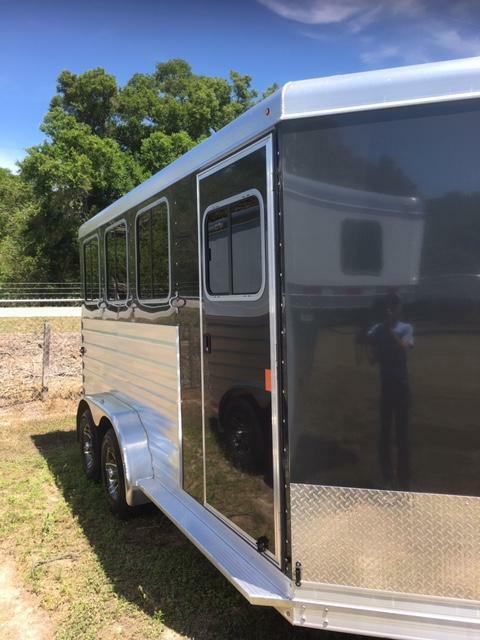 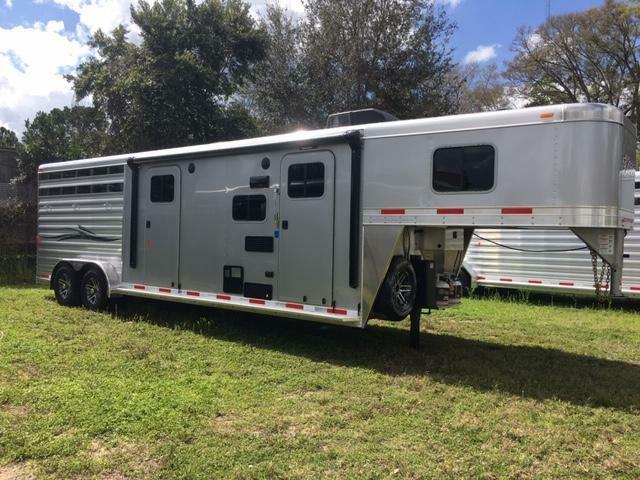 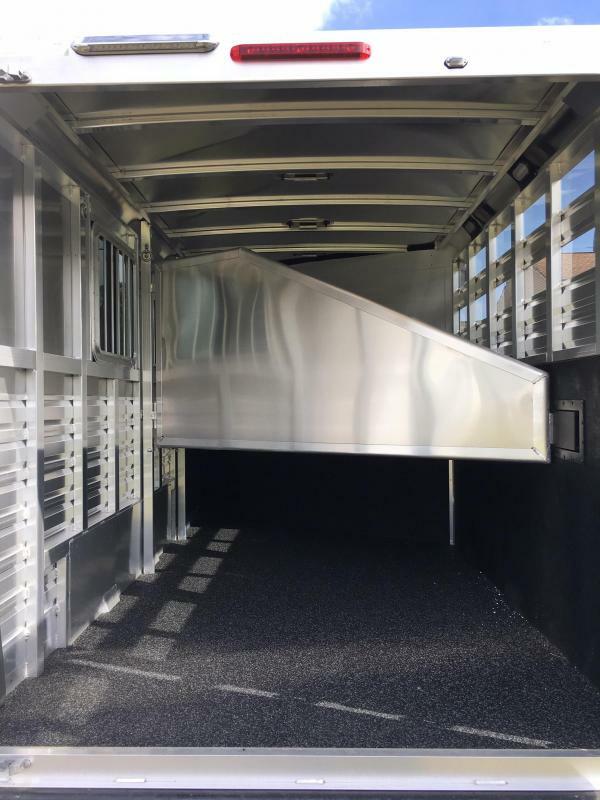 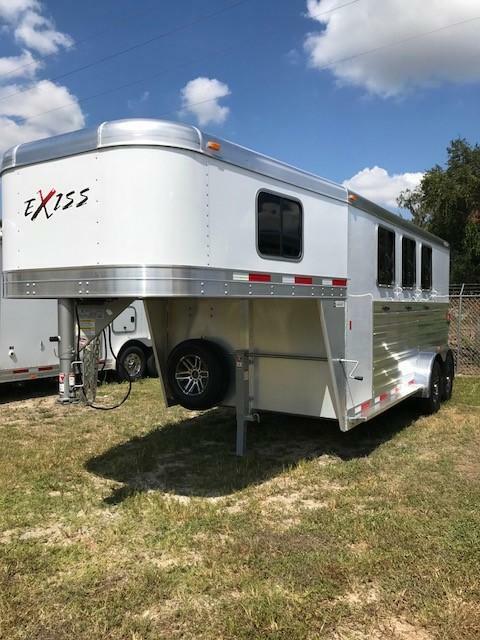 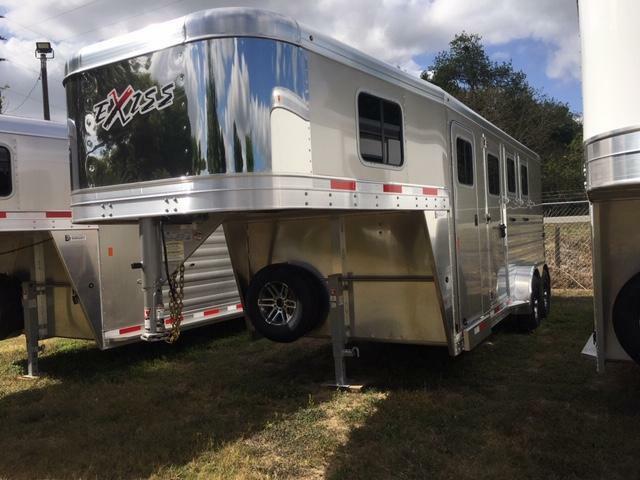 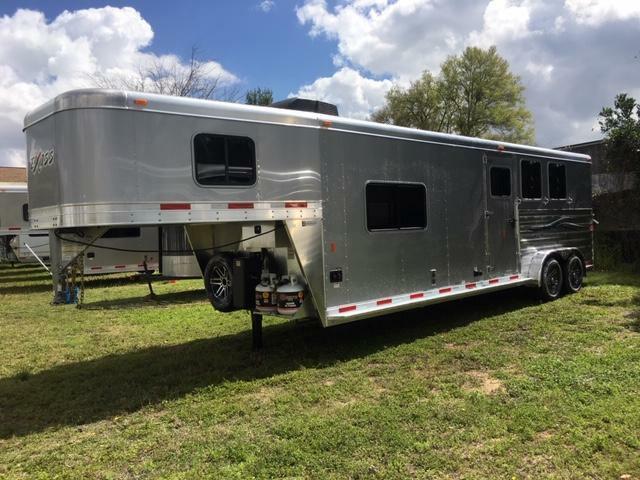 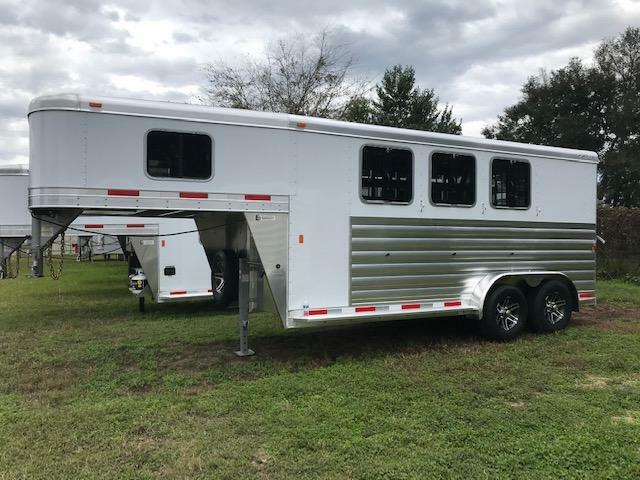 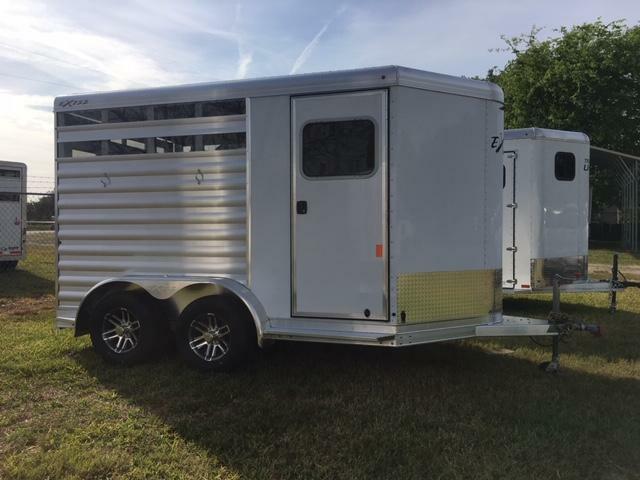 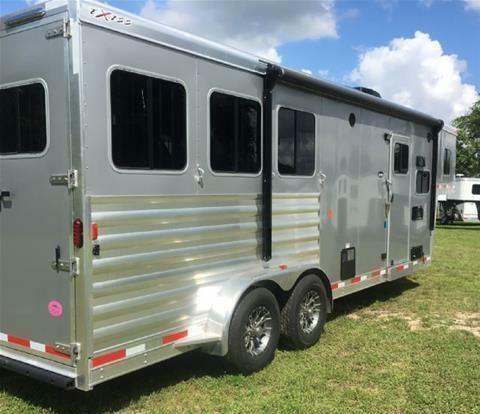 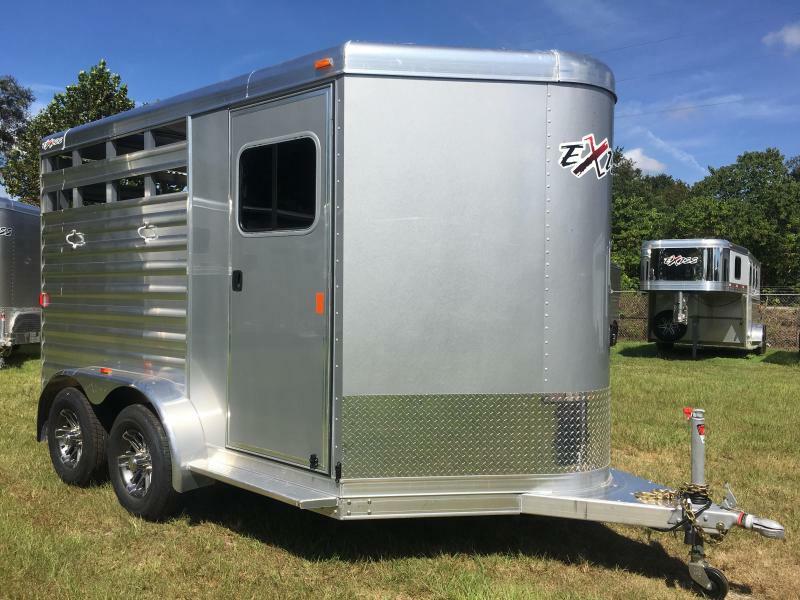 Check out this awesome designed 3H trailer with a small mid tack. 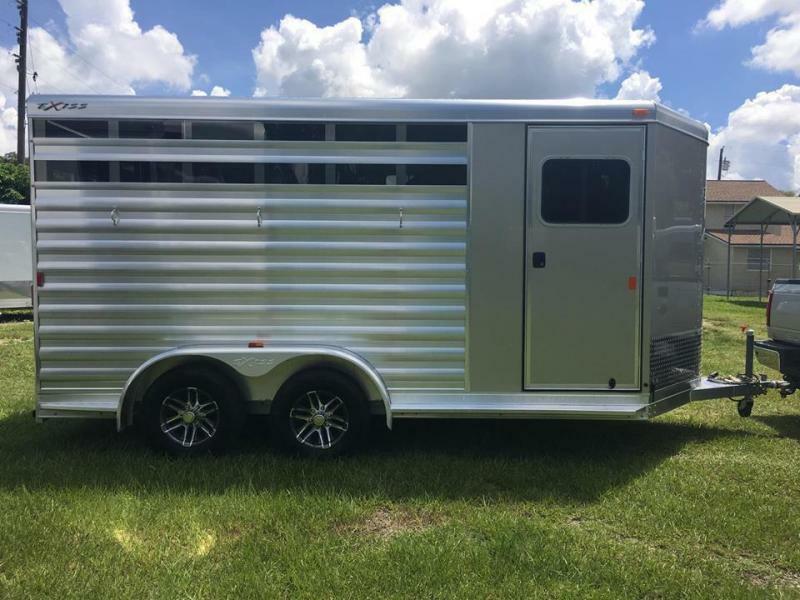 All aluminum, three horse slant load with a single piece aluminum roof. 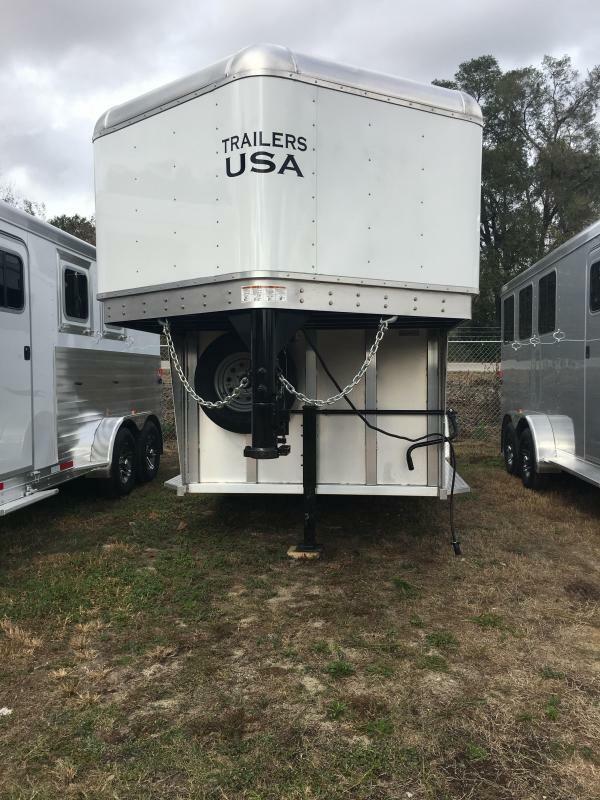 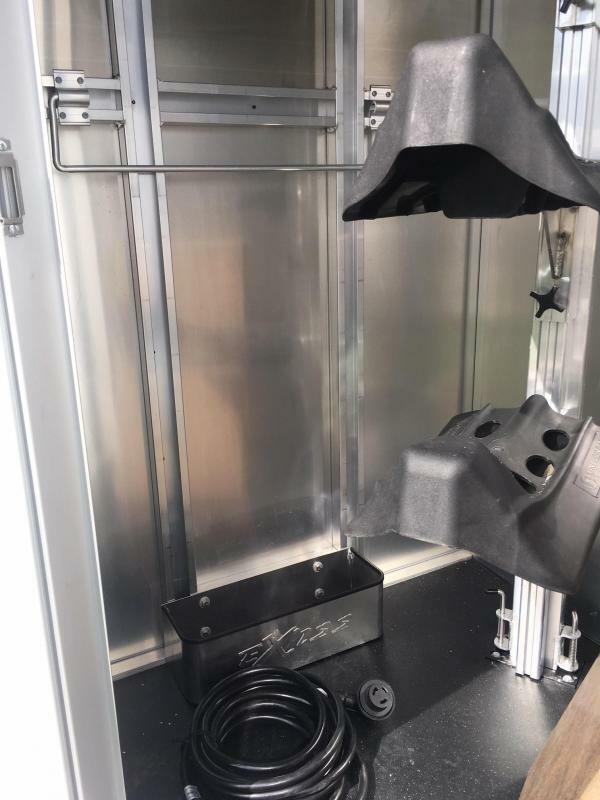 one roof vent per horse, two tie rings per horse, LED stall lights and LED load light on a switch. 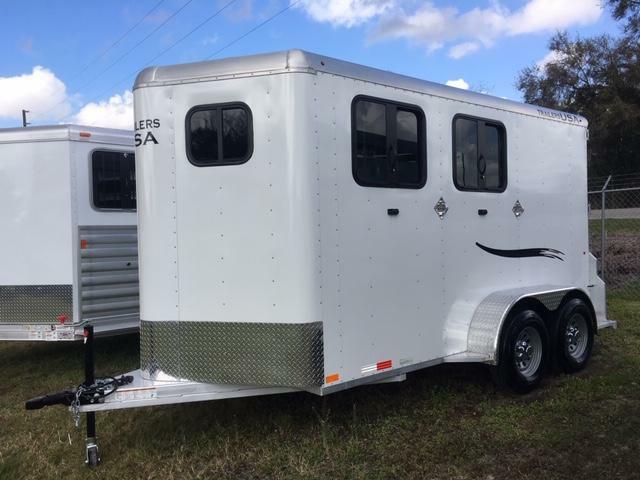 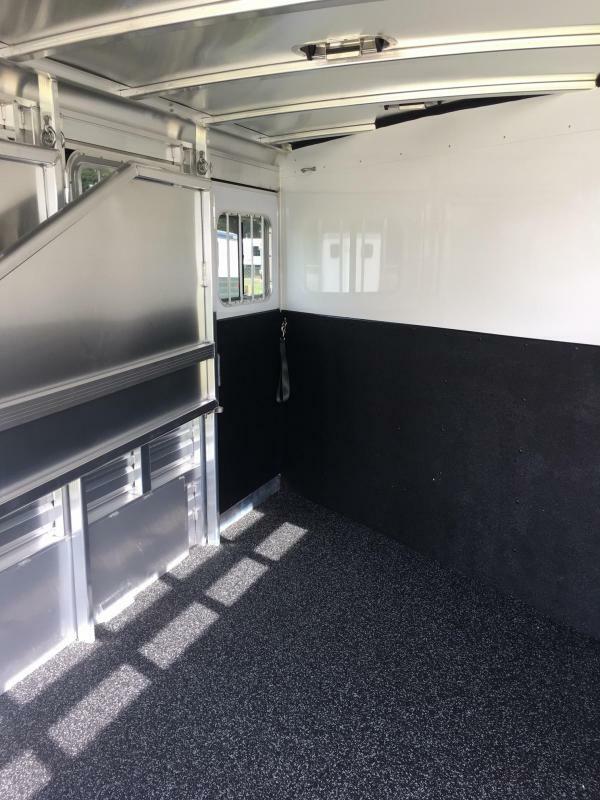 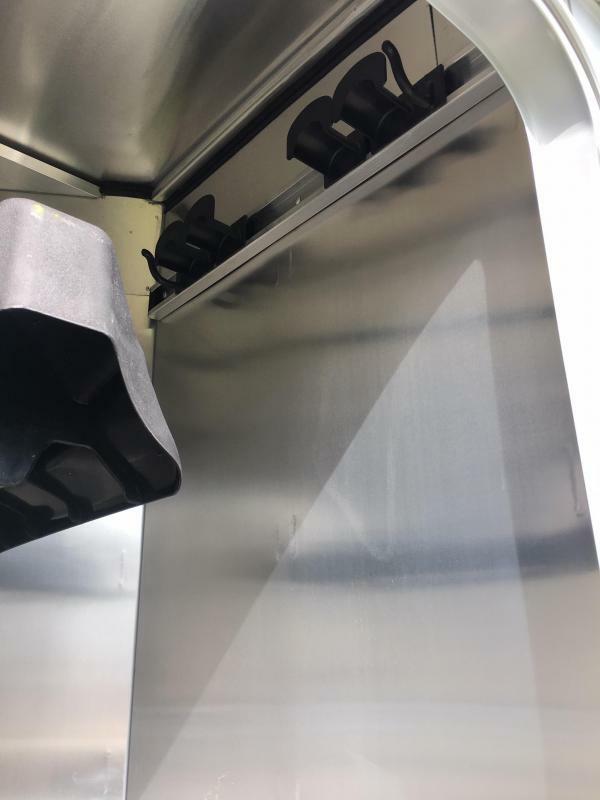 Heavy duty drop down windows and escape door on the head side with stock sides on hip side & full swing stock style rear door. 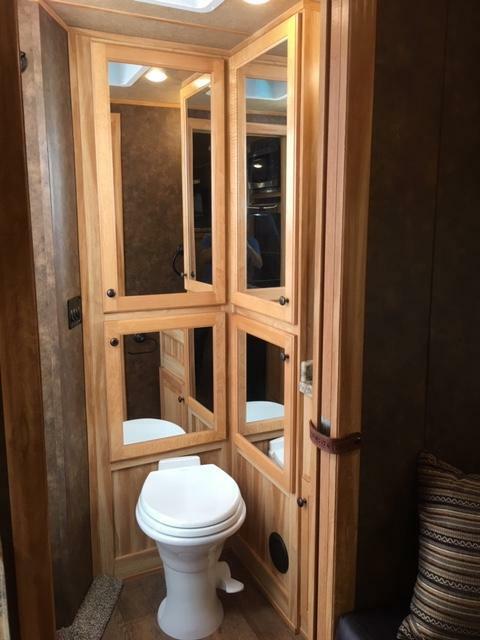 Walk thru door to the living quarters. 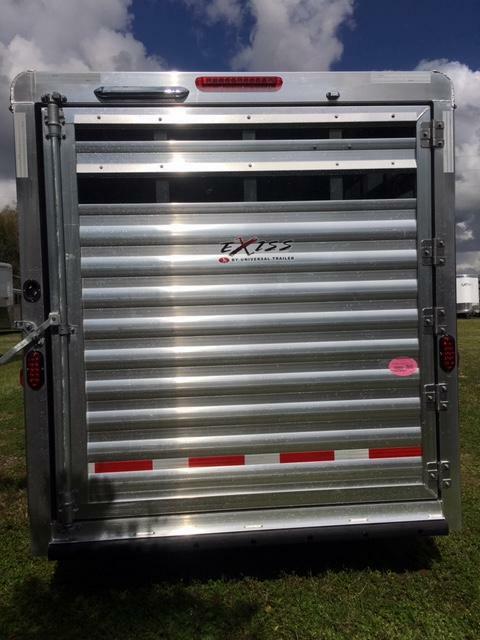 Has small pie shaped mid tack with adjustable 3 tier saddle rack, 6 bridle hooks, a saddle blanket bar & brush box. 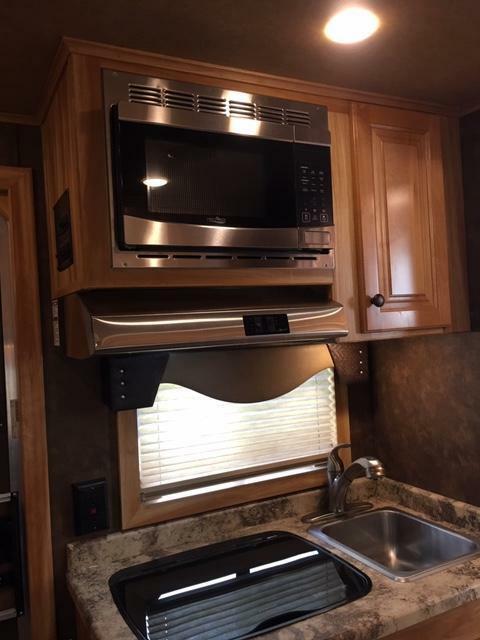 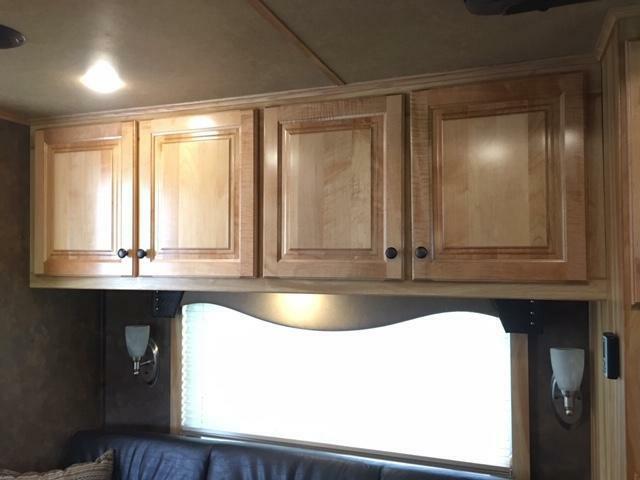 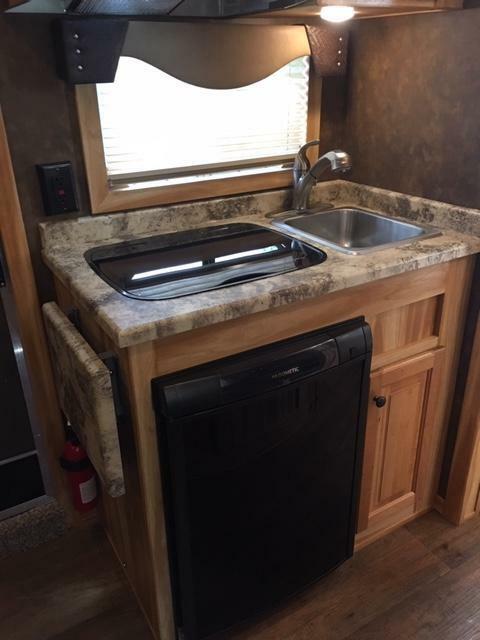 Living Quarters features a stainless steel appliance upgrade with Chestnut Hickory decor package. 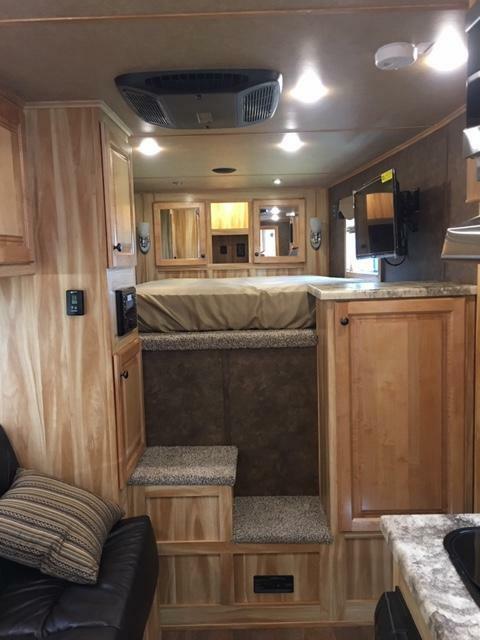 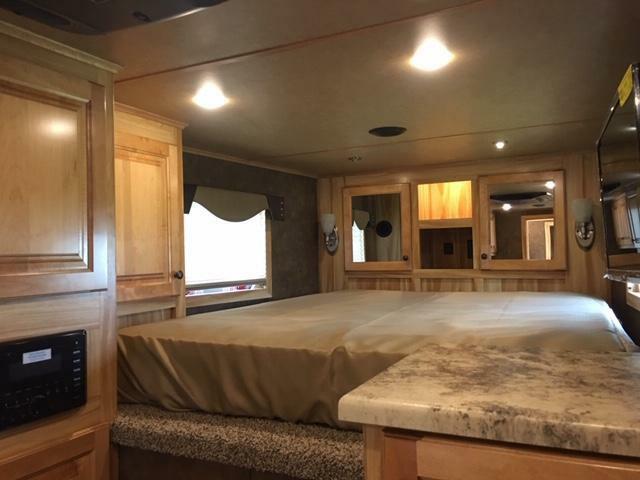 Queen size bed, sofa that turns into a bed, two burner stove top, sink, 3 cubic ft fridge, storage cabinets above sofa. 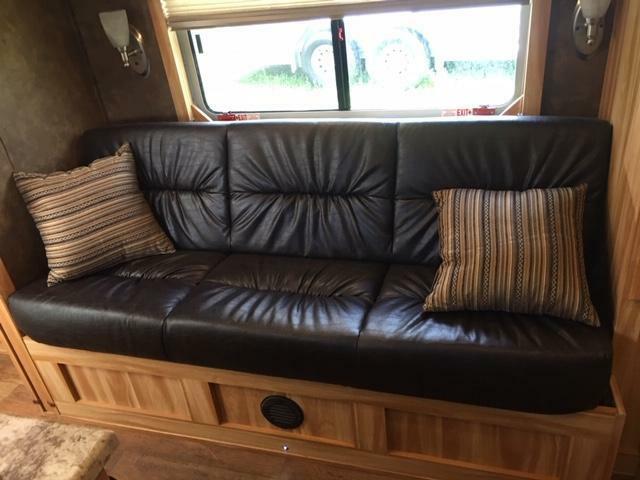 Jensen Bluetooth radio with inside and outside speakers. 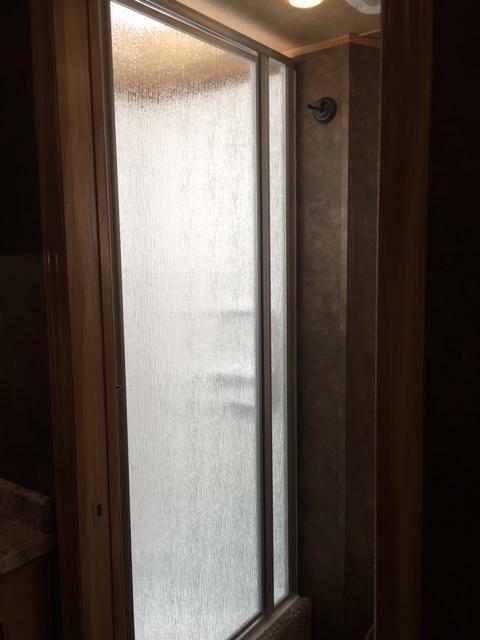 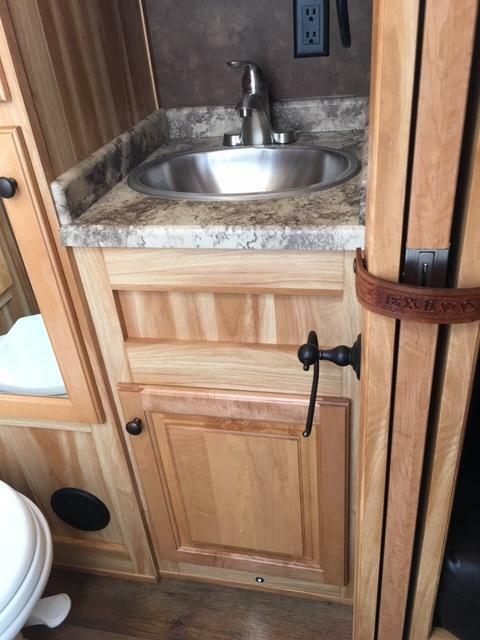 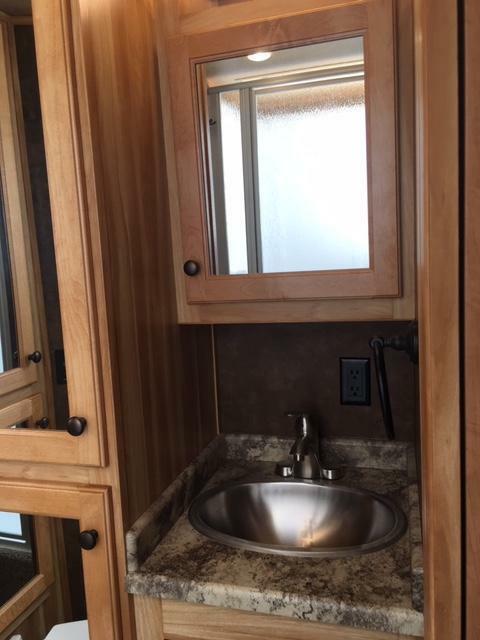 There is a separate bathroom with shower, toilet, sink, vanity and wardrobe closet. 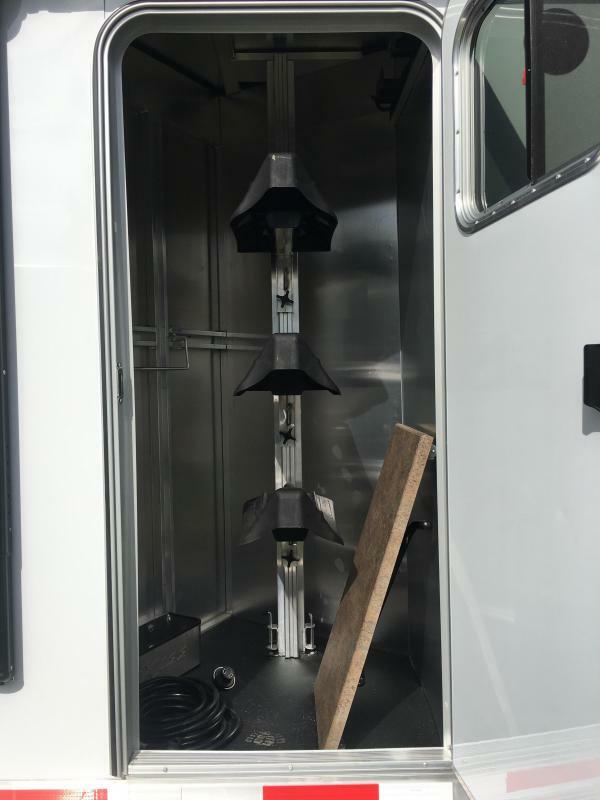 Dual Propane tanks, Hydraulic jack and Electric Awning.